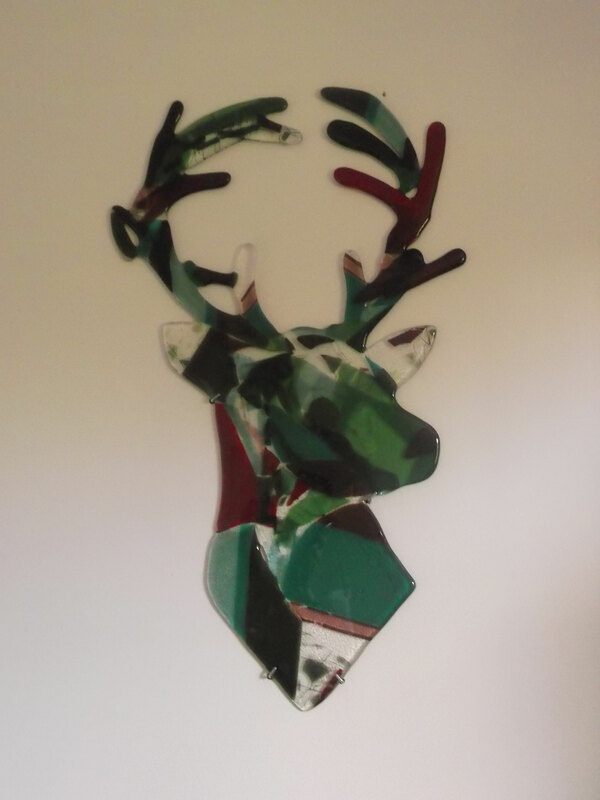 stag workshop - joannahedleys jimdo page! 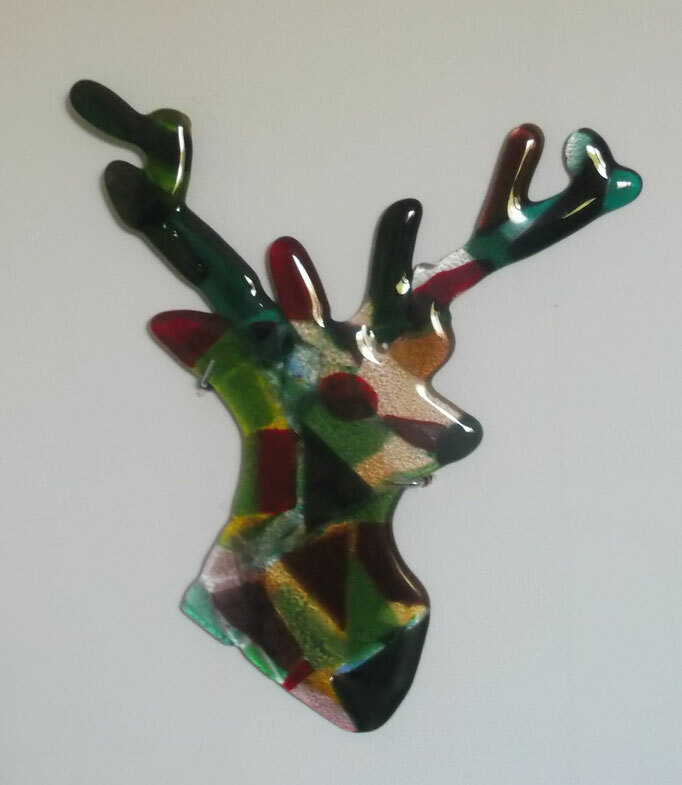 Come and make yourself a beautiful fused glass stags head! In a small group of up to 3, learn how to cut glass, and make your design, this is a beginners course but more advanced fusers are also welcome. 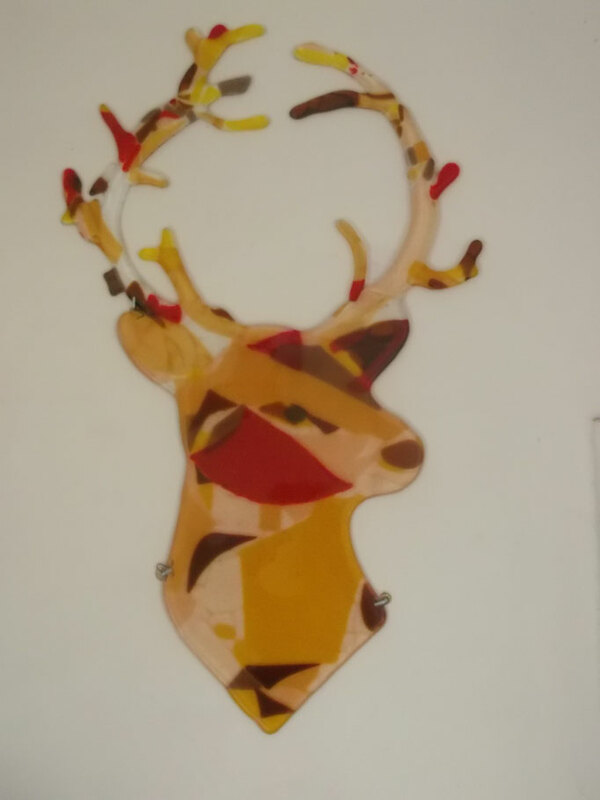 Templates are ready for you to work on, then you will build your stag on a 30cm x 30cm kiln shelf ready for fusing. It will be ready to collect the next day. All the materials are provided, just make sure you wear sturdy shoes and old clothes! lunch is provided. Let us know if you have any dietary requirements. 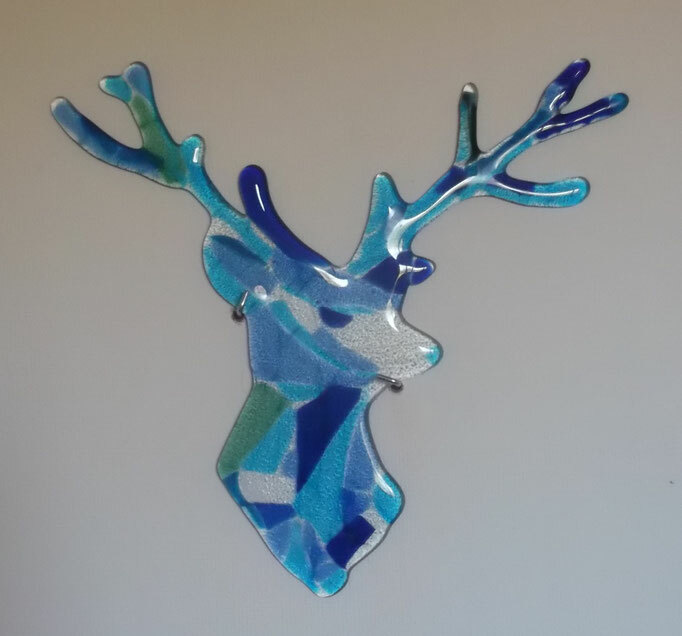 I'll be in touch to arrange a suitable date for your workshop!